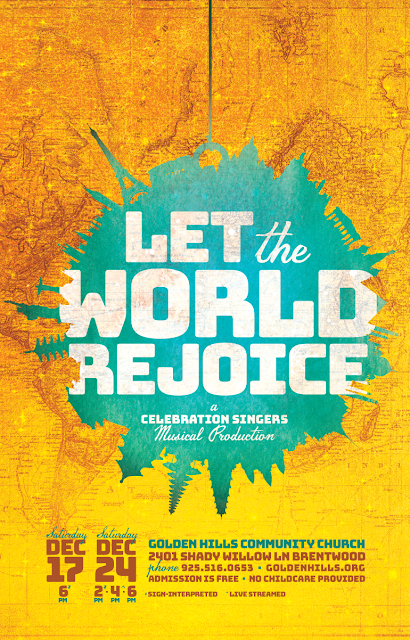 This is GHCC's Christmas Musical, Let the World Rejoice. With a global theme exploring how different cultures around the world celebrate Christmas, I knew I wanted this to have a different look than the typical "American Christmas" look we often see. The main ornament image incorporated landmarks from all over the earth, while the textures and colors incorporated the brightness and warm colors that are often seen in the celebrations of other cultures.